It rained here all week, so we decided to head down the Greenville, SC to The Children's Museum of the Upstate. I love how intently my kids explore this place. But to tell you the truth, I wear out pretty fast chasing that little tiny. Then there is this face. He is SOOOO intense. He takes after his dad, and we are trying to figure out how to help him channel the intensity of being a first child of two first children. Why do you really NEED three shopping carts? Not sure, but he did. Those are all the apples. She got them all. And she wasn't going to share. Then she demonstrated how close to nap time it really was by then ramming her cart into the walls. That looks like such a fun place!!! 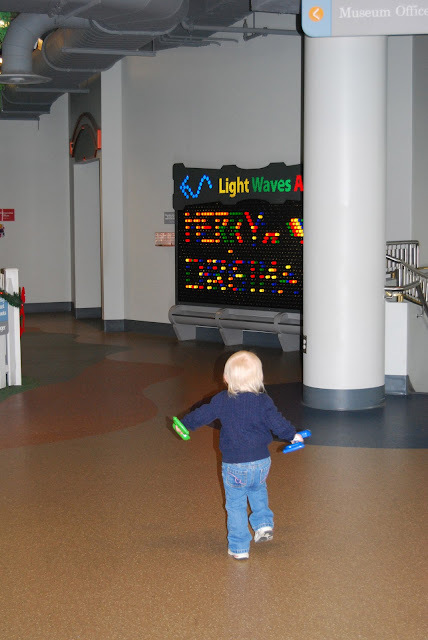 We haven't been to the children's museum in awhile, but we plan to visit one that during our mini-vacation next year.